Banana - C'mon, who doesn't like this one? The Flags could represent a game from here or Japan if your talking in Gaming Chat. God I hope you all appreciate these! I was going to add more, but I need a break. Hope you all enjoy them! Yay! If you made a Haruhi one...I can't say I'd bow, but... I'd be one happy otaku. But aren't Mudkips nintendo? Chris just 'd a Mudkip. Sio wrote: But aren't Mudkips nintendo? Chris just 'd a Mudkip. you my friend of just created a riff in the time paradox. fail. watch your step; there's a gaping hole in the forum now, casting this section to the shadows of php. and the smileys were okay, I just don't get the use for a yoshi smiley in any situation. Why would they make Fire Emblem 6 come out in the US, but not the first five? 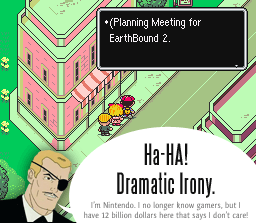 And to edgar, they still may make EarthBound 2. You can play FE6 and 7 without the first five, but 6 is the sequel to seven. 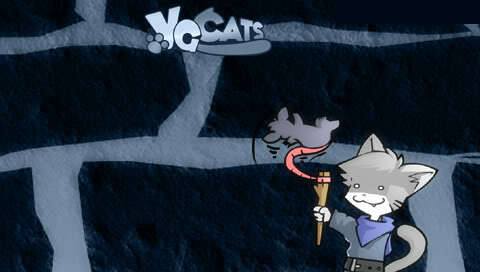 Same question as EarthBound: Why would they make one if not the sequel? The first five all have translations, just not official ones. Sio wrote: You can play FE6 and 7 without the first five, but 6 is the sequel to seven. Same question as EarthBound: Why would they make one if not the sequel? The first five all have translations, just not official ones. They were going to make the first one in america, but it was too late, and the Nintendo was dieing out, so they never release Mother 1. They had the translation done, just decided not to. The mother series has had some of the worst timings and marketing decisions that i've ever seen. P.S. The translations WERE official ones. SmashFiles wrote: Why would they make Fire Emblem 6 come out in the US, but not the first five? Because Roy starred in 6, and he was liked more than Marth. And it'd give more of a bacjground to himself. I thought they would've made a translation for the Games MARTH & ROY were in , and made them one of the demo games for Brawl. But they'd need em' on the VC first. Rule one; I thought they didn't release EB zero because nintendo was under the impression that americans didn't like rpgs? rule two; reggie needs madden 08, not EarthBound 2. it's been shown time again that Reggie doesn't like mother too much, and the fanbase apparently isn't enough to get their attention. I'm sorry about the negativity here, I'm just letting off some fanboy rage. edit;OH GAWD way off topic. how bout them smileys? Once again, their awesomje, just wondering how you made them. I didn't make the smileys, I got them off of a different site. It just took me forever to put all of them on here, like over two hours.